Washington, D.C. (March 28, 2019) — Airline and railway workers’ ability to choose and maintain Union representation and our contracts is under attack. 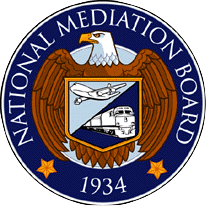 The majority members of the National Mediation Board (NMB) are proposing a rule, contrary to the purpose of the statute, to encourage airlines to run decertification campaigns to end Union Contracts. International President Sara Nelson testified on Thursday, March 28, 2019, along with ALPA, IAM, Teamsters, and the Transportation Trades Department, AFL-CIO, against the proposed rule change. Testifying in favor of the rule change was the National Right to Work Foundation, Allegiant Air, and another group backed by Koch Brothers money. “There is no legal authority for this NMB proposal to create a more 'direct' decertification process and no ground swell of support among airline employees for a new decertification procedure. Airline employees understand the critical importance of having a contract. There is absolutely no interest expressed by workers to decertify and give up their Union Contract,” said Nelson. The NMB proposal would also bar workers from attempting to unionize again for two years, which is an increase to the current one-year ban that comes after decertification.